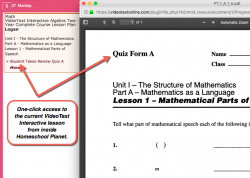 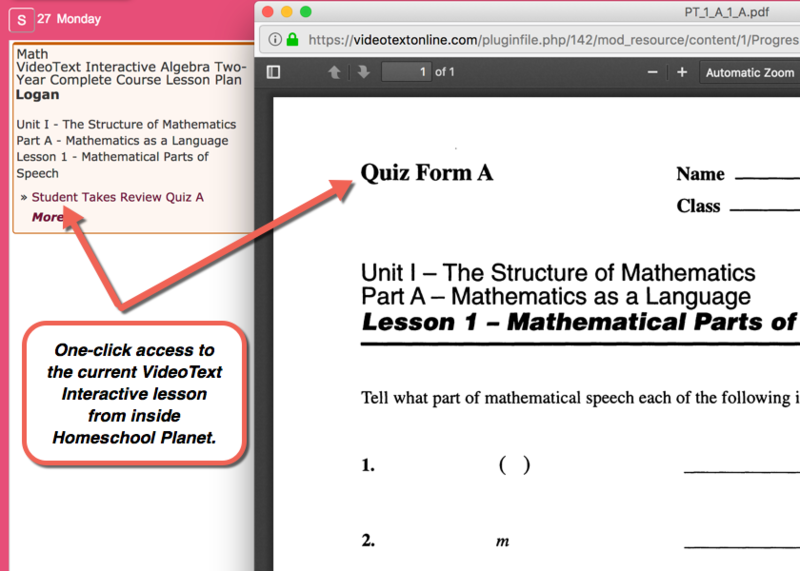 Take full advantage of your VideoText Interactive Online Algebra and Geometry subscriptions with the official, publisher-created lesson plans for use with Homeschool Planet. 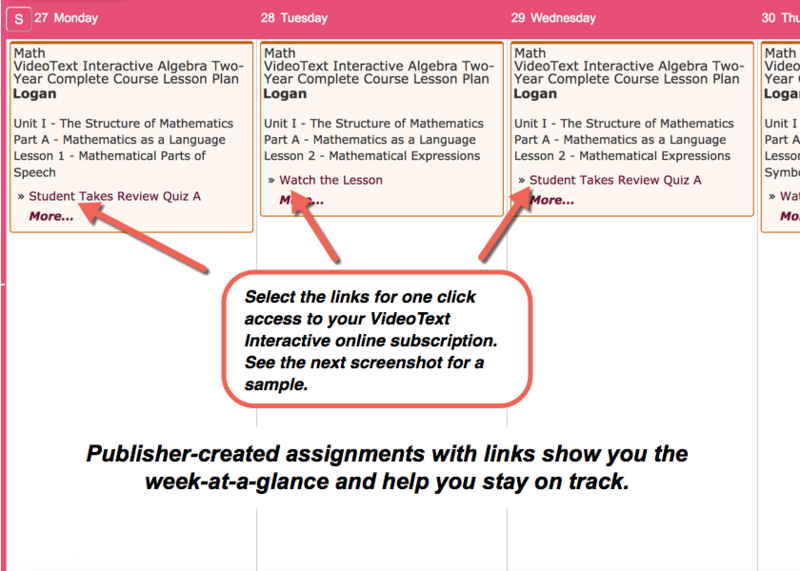 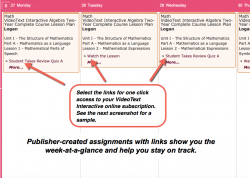 Daily assignments with one click links help ensure your student keeps with the recommended course of study, while giving you a convenient way to track progress, record grades, and more. 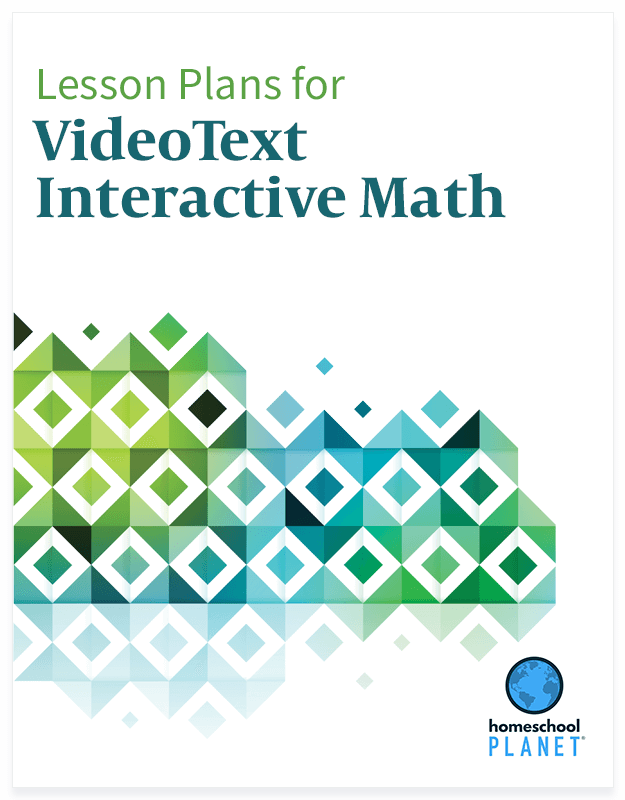 1-5 school YEARS of publisher-created assignments consisting of video lessons to watch, experiments to observe and complete, and quizzes and tests to take. 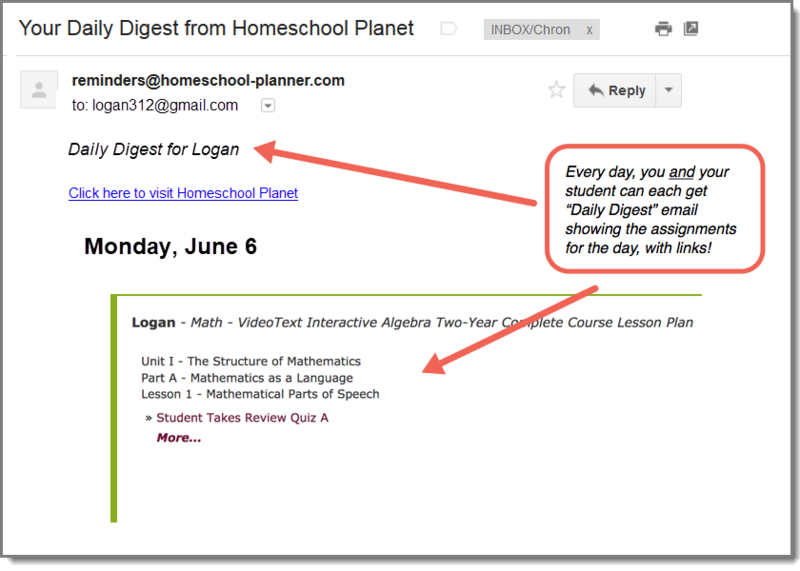 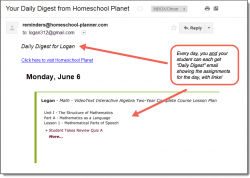 Links your student can click or touch on a computer or mobile device to launch the required activities from inside Homeschool Planet.